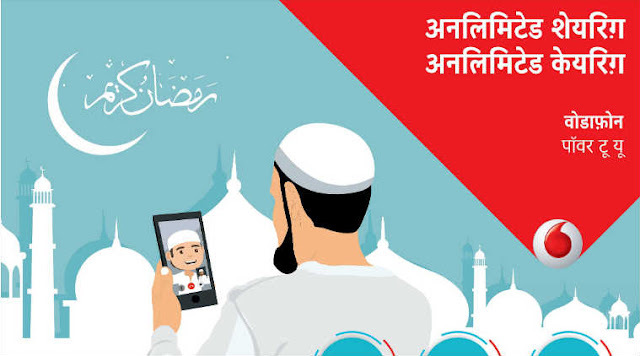 Vodafone Ramzan Special Pack: The Vodafone is coming with the latest offers this Ramzan 2017. Vodafone India on Tuesday made an announcement on unlimited local and STD calling with free data for customers across UP West and Uttarakhand on the occasion of Ramzan. 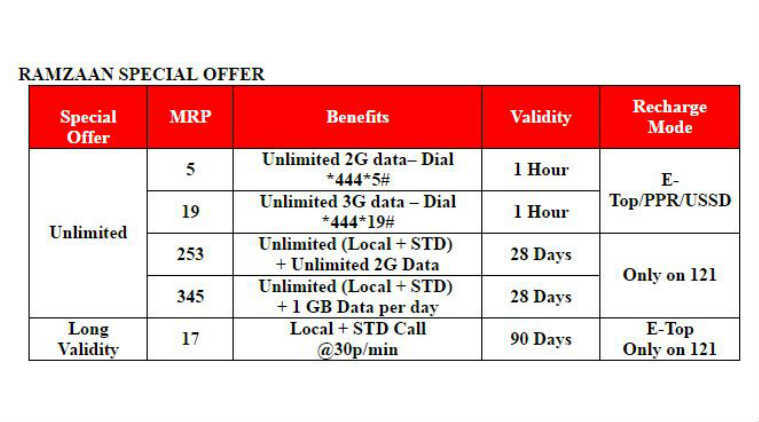 The Vodafone 2G customers can avail Ramzan Special Offer Pack by dialing *444*5#. They will get unlimited data benefits for Rs 5. 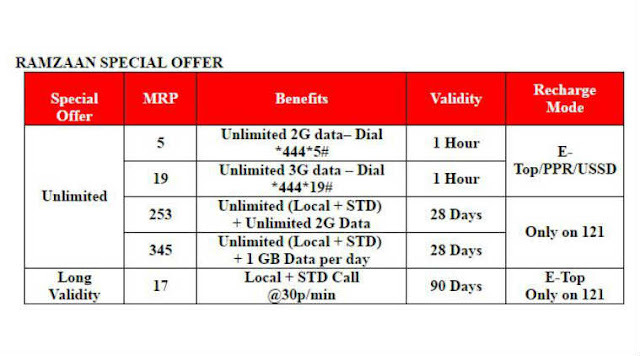 And Vodafone 3G customers will need to dial *444*19# to activate the offer which gives them unlimited data for Rs 19. Unlimited local and STD calling pack for 2G customers is priced at Rs 253, which can be bundled with 1GB data per day for Rs 345. Further, Vodafone is offering long validity of local as well as STD calls at 30paise/ minute for 90 days. we aim to provide a service which can help customers seamlessly connect with their families and friends and enjoy the internet at an affordable cost and share their emotional and spiritual experiences,” Dilip Kumar Ganta, Business Head, UP West & Uttarakhand, Vodafone India said.